Back in late 1980, most American businesses decided to make a fundamental change in who was responsible for taking care of your individual retirement. The switch was from a defined benefit form of retirement for workers and their executives, to a defined contribution system. This switch caused virtually all non-governmental employees to be responsible for their own medical costs beyond Medicare, as well as living costs beyond Social Security. Are your retirement goals slipping away? Baby Boomers were the first generation affected by that major change in how retirement plans are administered. Most of you reading this article already know that covers far less than traditional employer health plans. However, most don’t realize that over a typical Boomer’s lifetime, non-covered medical costs can add up to a huge number. The Employee Benefit Research Institute estimates that the cost to a couple currently over the age of 65 will total $240,000 over their 17-20 year remaining lifetime. Medicare premiums are on a sliding scale, so if you have a substantial income, you’ll pay much more than if you’re under the limit. Health premiums today often exceed the entire amount couples receive from their Social Security benefits. Very few Baby Boomers were thinking about this issue, and thus did not plan in their 40’s to save nearly enough towards their retirement. Your expected expenses should account for these and other costs. You should also have enough to ensure that you can get into a good care facility if you ever need to. While no one likes to think of themselves as becoming frail, it’s good to plan for the unexpected. If you have been fortunate and have $1 million saved, this would put you in the top 1% of all people over 40 years old. Yet that amount is hardly enough to reach even a modest retirement goal given that more and more healthy people are living into their 80’s and 90’s. According to Robert Reynolds, President and Chief Executive Officer of Putnam – the firm that developed the lifetime income analysis tool, 99% of those over 40 year old are not even halfway towards meeting their retirement goals. If your family is now spending $150,000 annually and believe that you want to maintain that lifestyle after you retire, you might be very surprised to discover how much is needed to withstand the occasional shocks to one’s portfolio that we have all seen. Coupled with the fact that earned income today on any passive investment yields a very limited return, you would need a minimum of $10,000,000 in retirement savings to maintain your current lifestyle. By now you are recognizing that it is highly unlikely that you’ll make this objective. Well fine, what objective can you attain? Is it realistic that you can live on 50% of the amount you now earn and remain comfortable? 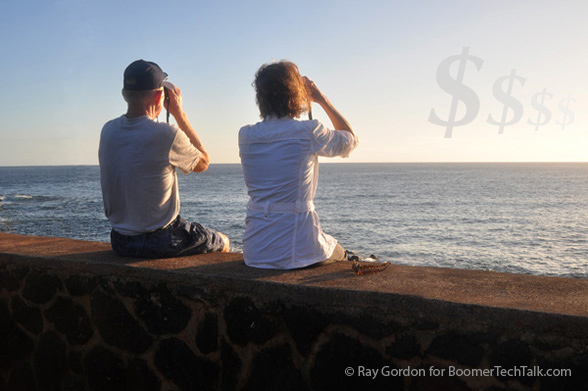 Studies show that most retired couples that attempt to reduce expenses can only make marginal adjustments. In fact, most financial advisers suggest 80% as a reasonable reduction in lifestyle expenses. That means that the couple in my example would require $120,000 a year (in 2012 dollars), reducing the amount you need to save for retirement to $8,000,000. That would still apply to only the top 1%. Unfortunately, those of us in the 99% who don’t have $8,000,000 saved have a very serious issue confronting us for the 15 years or more after retirement. What you do right now will make all the difference to you and your family as to how your retirement will turn out. Note the message above is not focused on income nor the rate of return one assumes as reasonable but the level of savings needed to maintain the burn rate of your lifestyle. If you think you can earn 7% on savings year in and year out without any losses then it will only take $5m. But the reality is that everyone has losses. With a defined contribution plan, the responsibility is on you and your family – no one else is really watching out for you. The financial services industry keeps telling you to “play it safe” and save as much as you can but in the end you need to understand how to meet your retirement goals. Unfortunately, most of us are not going to have “comfortable” retirements. You should start today with a plan. For instance, when in your 40’s you should be saving 25% of your earned income. Typically, the 40’s is your best decade to earn income, and thus it needs to be the decade where you save the most for your retirement. Given this scenario, I would like to recommend to you a company that I have invested with myself over many years and can vouch for their integrity and performance. Three Arch Investors are not financial nor retirement planners, nor do they act in the role of an advisor. However, they do currently offer two investment funds that would be classified as alternative investments possibly suitable in meeting your goals and objectives. Most of their investors have found it necessary to look beyond the traditional stock market and bond market in seeking other forms of income to build up their retirement portfolios – while attempting to have uncorrelated results outside of the typical financial services industry. Current retirees enjoy getting monthly checks. The first fund, Three Arch Investors Fund 1, has been distributing 5% monthly since 2010 – with that current income coming exclusively from rentals. The fund is managed with the goal to diversify the locations of the homes, the maturity dates of the leases, and the segments of the market. The plan is to maintain the 5% distributions as a priority to the sponsors before receiving any fees. Their inventory of single family homes are located on the west coast of the United States and are rented to families seeking quality housing for time periods of 3 – 5 years. The second fund, the Three Arch Securities program, is for those that don’t require current income. This fund flips homes bought from the banks and other agencies that have been foreclosed on. Both funds have exceptional returns. Investors today are facing very tough choices and I am not suggesting that your retirement goals can be met with just these two funds. However in the current environment of low interest rates, where you are “rewarded” with 1% yields for five year investments, or 1.7% for ten years, the likelihood that your retirement goals will be met are virtually nonexistent. Today one can find highly confident experts predicting a clear path to housing recovery, as indicated in an October 3, 2012 article by CNN Money and many others. Most experts believe that early in 2012 most markets in the US began to stabilize and take the first steps toward recovery. On the Three Arch Investors web site, they have posted numerous articles and video that support this belief. If you recognize that passive income from bonds, CD’s, dividends, mutual bond funds and high yield bond funds will not come close to meeting your objectives, I suggest you visit their web site and learn about investing in professionally managed single-family homes, with the objective of realizing returns that far exceed traditional investments. David Michelson of Three Arch Investors has more than 40 years experience in residential housing and has made his focus providing investments that can produce high yet safe returns on a current basis. The PocketMoney App for the Apple iPhone/iPad/iPodTouch costs $4.99, but Retirement Calculator attests that it is well worth it. PocketMoney lets you watch multiple accounts, such as checking, savings and credit cards. You can sync the app to your desktop for convenient access. Even more importantly, it shows your spending trends. Their colorful graphs should help you to see where you are spending money and areas where you can cut your expenses. I hope that my article has opened your eyes to the challenges of planning for retirement. I believe this should be useful for baby boomers and those young enough to plan better than we did as a generation. If you are a boomer or senior, it might serve as ammunition in your attempts to warn your younger friends and relatives that the time to get started for retirement planning is now.